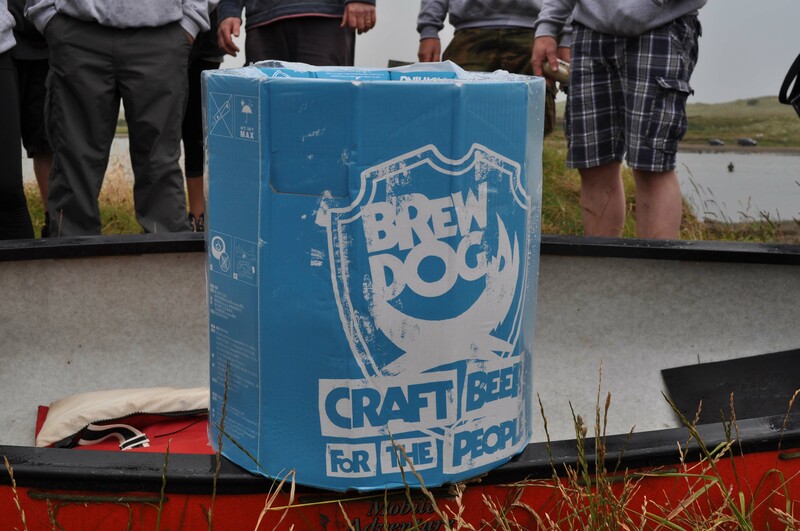 After leaving Ellon just over a week ago, the Keg of Brewdog IPA finally emerged through the haar aboard the Admiral Redsocks to be landed at Collieston. Local artist Paul Ritchie, son of Admiral Redsocks, welcomed the crew and urged everyone to come along and enjoy the beer at the opening event of the Gala – Petanque at the bouledrome on the evening of Wednesday 30th July. The Booze Cruise of the Admiral Redsocks continues this Saturday 26th July. This time we expect the weather gods to be smiling on us and to arrive back in Collieston between 1400 & 1430. Their efforts to rendezvous with the canoe carrying the cargo of BrewDog ale down the Ythan were thwarted by really wild conditions on the bar at the mouth of the Ythan. Fear not the beer is safely secured and will be stowed aboard the Redsocks and carried up the coast to Collieston as soon as weather and tide permit. Everyone is welcome to join in some family fun on the evening of Wednesday 24th July at the Boules Piste behind the former Coastguard Houses by the telephone box. No previous experience necessary – anyone can be a winner! For the kids out there – you do need to bring a parent or a responsible adult with you. They’ll need looking after. There are soft drinks and crisps for sale. The Pier Group has just been informed officially by the Office of the Scottish Charity Regulator that our application to achieve charitable status has been successful. 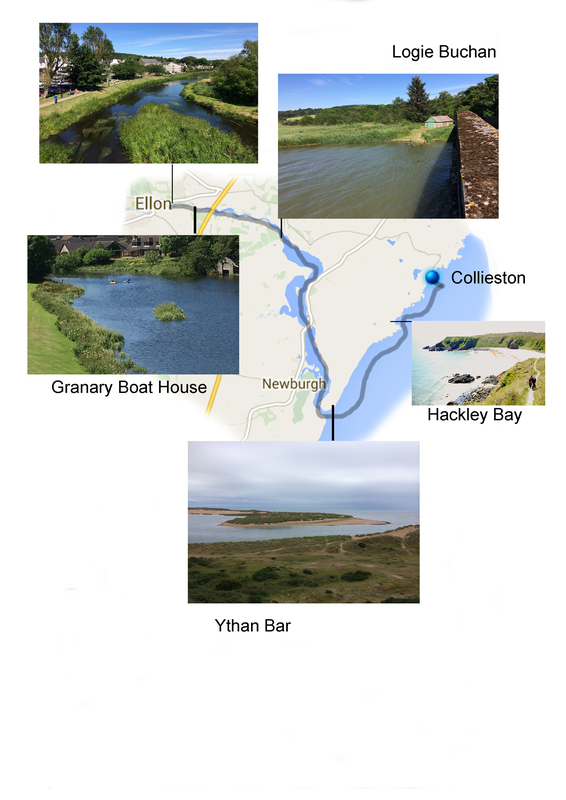 Our official title now is “Collieston Harbour Heritage Group” and we have a charity number. The official title and charity number will be used in any correspondence we have regarding grant applications etc, but for local working purposes we will still be the “Pier Group.” Our thanks are very much due to Sally for the work she has put in so willingly to achieve this objective. The fact that we are now a recognised charity is likely to have significant benefits in our on-going efforts to protect the pier and the beach. Sailing under the Jolly Roger and displaying BrewDog colours, the Admiral Redsocks and a relay of piratical crews will transport a cargo of BrewDog’s apocalyptic mother of an India Pale Ale from Ellon to reach Collieston in time to contribute to the Gala Festivities which begin with an open petanque tournament on the evening of 30th July. The timing of the voyage is weather dependent – watch out for updates on this site, http://www.corc.me and the Collieston and Slains Blether on Facebook. Ideally we would like to load the cargo at the riverside car park in Ellon at 0900 on Saturday 19th and we will confirm that on Friday 18th.